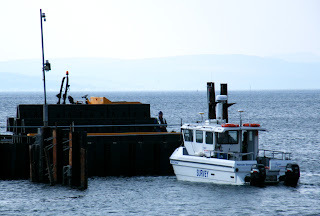 Aspect Survey's shallow draught survey vessel Remote Sensor working in the Largs Pier basin 28 April 2009. I think that she will have found some issues! she's a noisy wee thing, she was lurking about here not long ago!